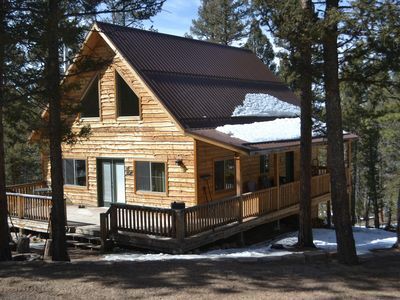 Custom built in 2007, this vacation home sits on over an acre in a quiet mountain community. 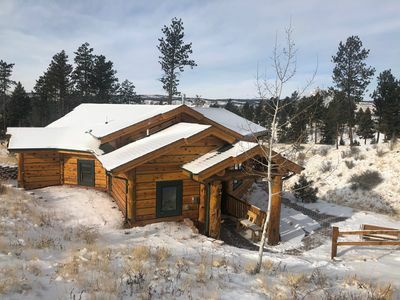 Open floor plan boasts a spacious Great Room and dining area along with a custom built kitchen with hickory cabinets and stainless steel appliances. 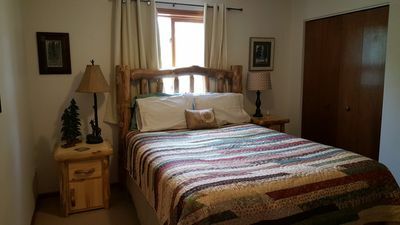 The large Master Bedroom has flat screen TV and comfy pillow top queen bed. 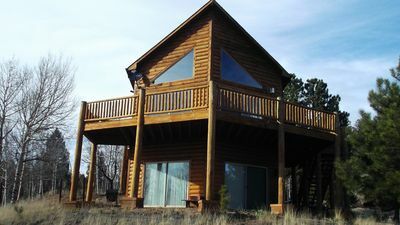 It also has it's own Master Bathroom with double sinks, a heart shaped tub, custom built shower and large walk in closet. Second bedroom has queen bed and nice sized closet. 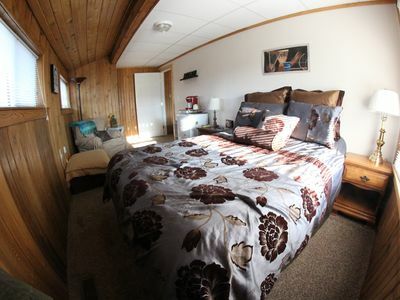 Third bedroom has one twin, one daybed, additional trundle bed and nice sized closet as well. Travertine tile in both Master Bath and main full bathroom. 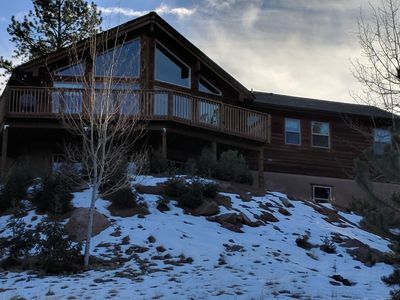 Enjoy the amazing westerly mountain views from the brand new deck or by looking out the giant picture windows that encase the entire back wall of the Great Room/ Kitchen area. 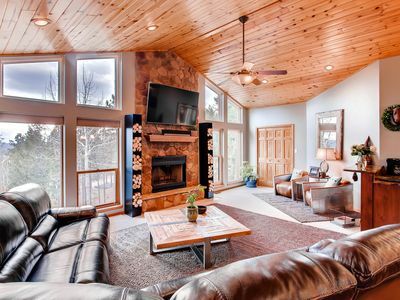 Satellite TV in great room and Master Bedroom. Use of WiFi, (40 Mbps) Internet, Satellite TV. Laundry Room has full size front loading washer/dryers. 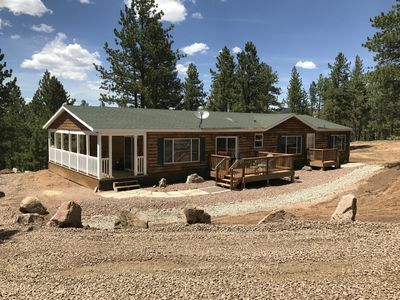 This house is very clean and comfortable with high vaulted ceilings and cozy bedrooms just waiting for couples, families, and friends to enjoy! Wildlife can be seen walking through the woods close to the house. 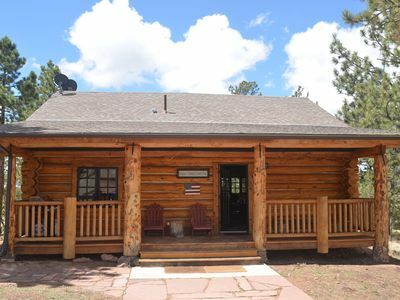 Colorado Wolf and Wildlife Center is close enough that you can sometimes hear the wolves howl! 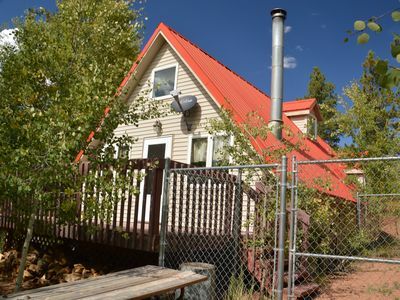 Close to Pike National Forest & State Game Land. Lots of nearby ATV trail riding. 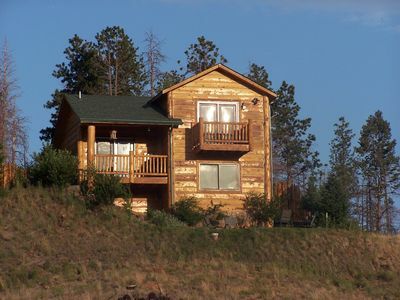 Fishing at Eleven Mile Reservoir, Lake George, or on the South Platte River just to name a few. Florissant Fossil Beds is a must see. Hiking trails are in endless supply. 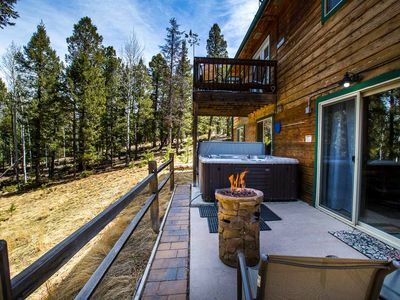 Close to Woodland Park which has restaurants, shops, farmer's markets, fishing lake, golf course, a dinosaur museum and so much more. 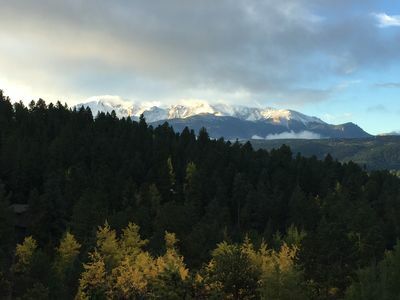 Take a scenic drive down the Ute Pass and you will find so much to do in Colorado Springs. The choices are endless! Garden of the Gods, Seven Falls, Cave of the Winds, The Cheyenne Mountain Zoo, Manitou Springs, Pike's Peak, The North Pole and more. 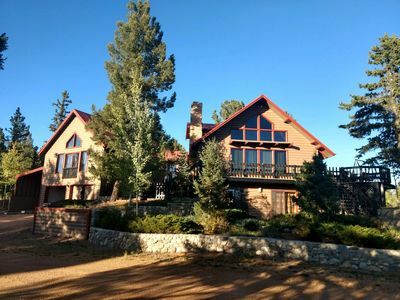 Cripple Creek is just a beautiful scenic drive away to the south. Wilkerson Pass, Buena Vista and Breckenridge are to the west. 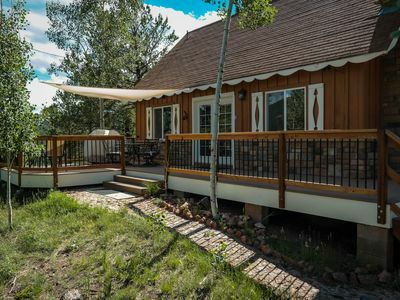 Relax in the comfort of the home or explore and venture out and about. 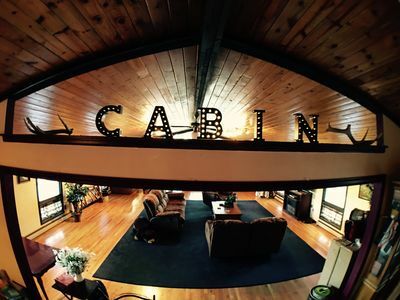 Wonderful memories are waiting to be made here! 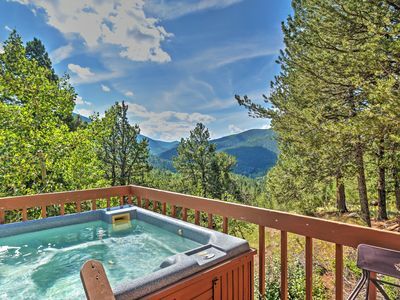 Popular Getaway, Hot Tub, WiFi, Directv, Lakes, Boats, Hiking, Attractions! 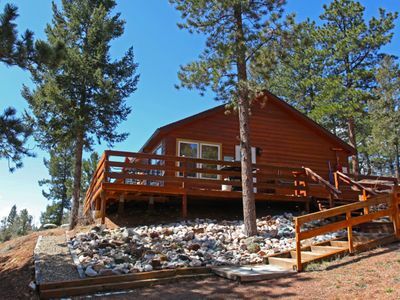 'Horseshoe Lodge' Divide Cabin w/ Hot Tub! 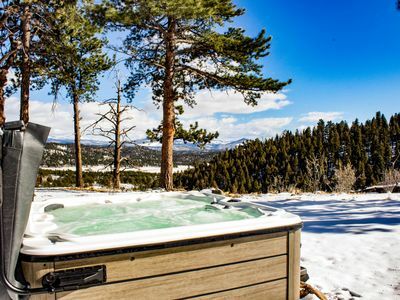 Pikes Peak Resort - Elk Ridge Cabin - Where Wilderness & Luxury Meet! 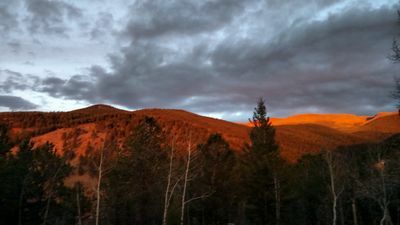 Amazing views of the Colorado mtns. Spring rates. 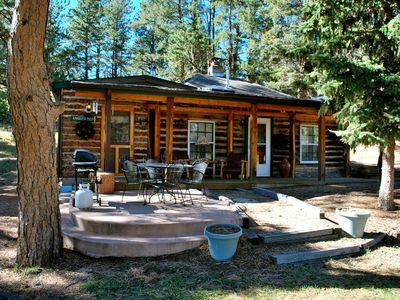 Rustic mountain cabin located near prime fishing, hunting and ATV trails.